I visited the Consumer Product Event this week and became instantly obsessed with one of the products presented. Rumba Time’s Broadway Watch is now one of my new favorite things. 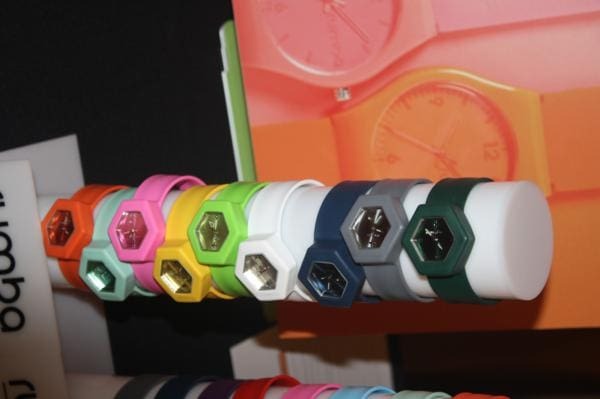 If you’re not familiar with Rumba Time, the company was started by a bunch of friends who wanted to create fun, stylish, affordable time pieces. 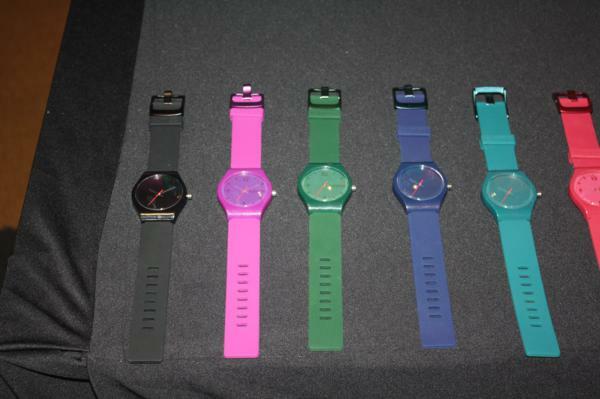 The watches are done in bright, colorful shades that make you feel happy just looking at them. I got a sample of the Broadway, in analog. Mine came in a grey color and…. get this…. its a slap watch. Remember those slap bracelets from the early 90’s? The ones you slap on your wrist and it curls around it? Rumba Time made it into a watch! Its made from medical grade silicone and the timepiece slides into the watch, so you can change faces to match your outfit. I asked Drew Deters, one of the co-founders, whether it would slip off my hand and he assured me it wouldn’t. I put the watch on that afternoon and literally haven’t taken it off except to shower. Because of the silicone, it doesn’t slide so there’s no fear of it slipping off. Its also uber stylish. I work at a design house and got so any compliments from my co-workers about the watch. It looks so cool, especially in the grey color. Grey is also the new neutral, so it works with all my outfits. At just $25, this is the perfect gift for the person who has everything. I had a watch and had no hesitation abandoning it for this one. Celeb fans of Rumba Time include George Lopez, Terrell Owens and Malin Akerman. To check out all the styles available, go to www.rumbatime.com.